We just went apple picking and how an abundance of apples! 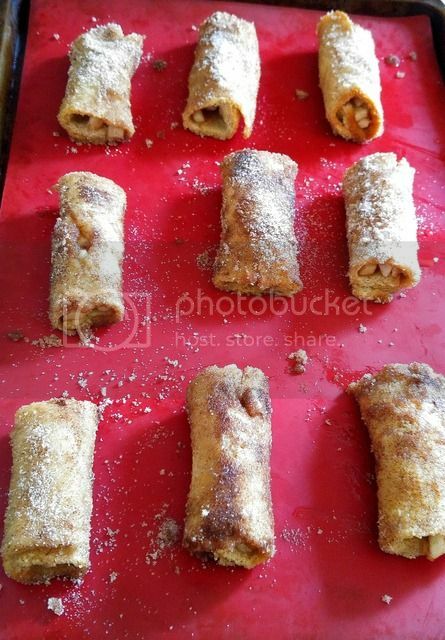 Here is a fun treat that the kids will love on a cool day, then check out this super easy recipe for Baked Apple Pie Roll-Ups! Flatten each piece of bread with a rolling pin. Cut the crusts off your bread. Combine cinnamon and sugar on a small plate. 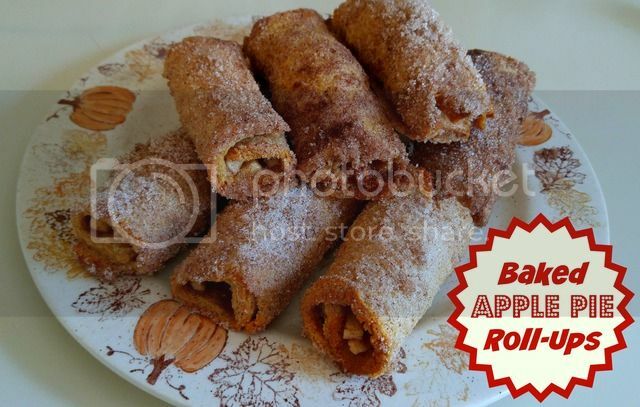 Spoon the apple pie mix on each slice of bread and roll up. Dip each piece into melted butter and then roll in the cinnamon sugar mixture. Place seam side down on a silicone lined pan and bake 15 minutes or until browned and crispy. Serve warm. I warn you, these are so addictive! They are great warmed up in the microwave or toaster oven too!